Picture this image for a minute. Standing in the middle of the sea, and you see so many white caps, one after another heading toward shore. As you try your hardest to stand up straight, along comes a bigger wave. Going through your mind is “how am I going to withstand it”? Will you fall, or will you remain standing? 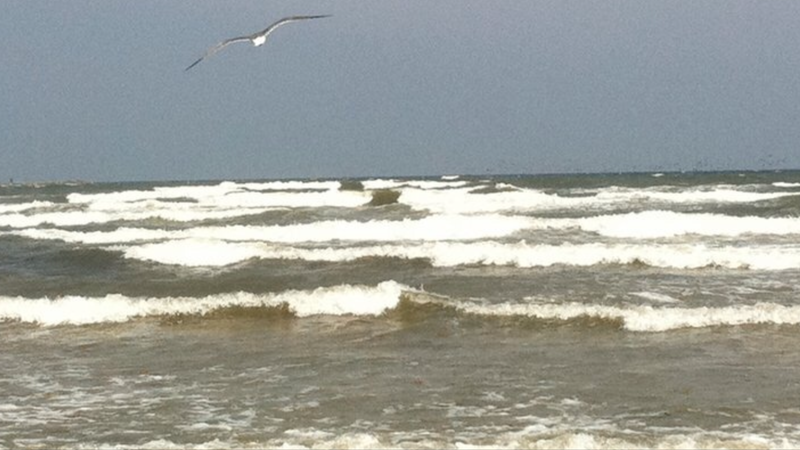 That was me, standing in the sea of Port Aransas, Texas. These waves were small, but as I got closer, they would get bigger than I thought. They actually knocked me down a couple of times, but as I kept my eyes forward, I started to prepare myself again and again for the waves coming at me. Eventually, I didn’t fall down when they hit. I felt at peace as He spoke to me that day. He doesn’t stop working in us, but continues and continues. In my past, I never knew how to fight through the waves, I just kept letting them drown me. But, today, as I give more of my heart to Him, He gives me grace and victory before the storms. I encourage you to allow the Lord into the midst of your waves. He will give you strength and miracles to overcome the storms ahead! Beautiful illustration and message! Thank you sister! !